This pre-World War II postcard, published by E.B.H. 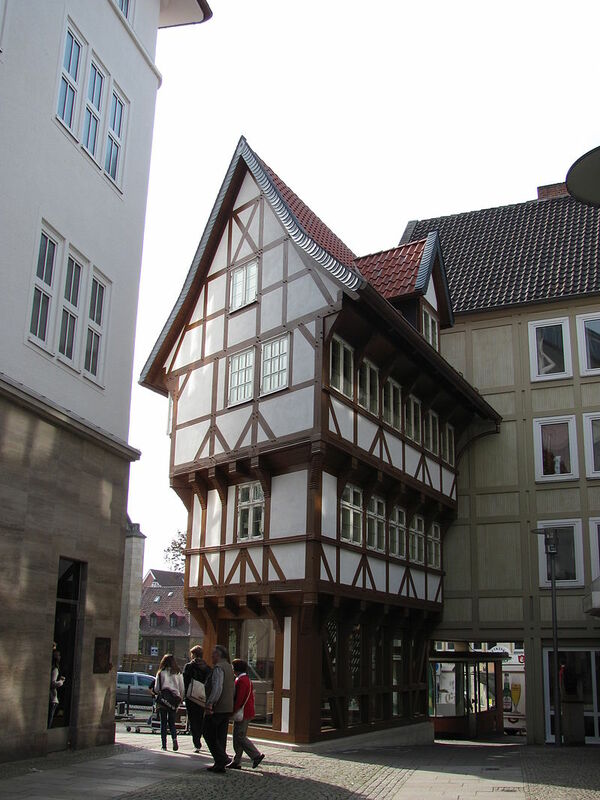 (but possibly a reprint), shows the original Upended Sugarloaf — Umgestülpter Zuckerhut — in the city of Hildesheim, Germany. The delightful upside-down dwelling was constructed in the early 1500s by an unknown architect and had a ground floor that covered just 17 square meters. It survived for more than four centuries until March 22, 1945, when it was completely destroyed (along with the surrounding historic market square) by incendiary bombs during an Allied air raid. In 2009 and 2010, the Upended Sugarloaf was rebuilt with oaken timbers and pegs, on its original lot. 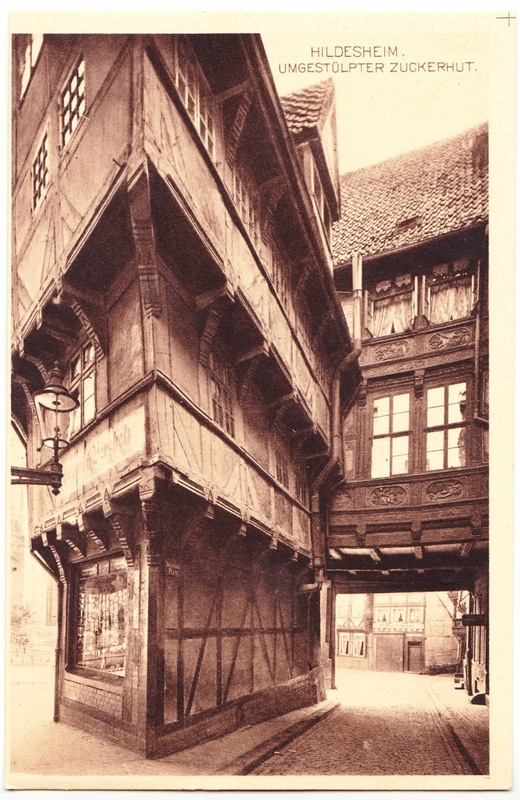 According to Wikipedia: "Many inhabitants of Hildesheim provided old photos and drawings for the project, as the original construction plans were not preserved."